Each year over 170,000 young people visit Kingswood from over 35 countries around the world. At Kingswood, we passionately believe in the benefits of exploring new and exciting environments. We offer a range of year-round experiences for international groups and individuals to become fully immersed in English language whilst taking part in adventurous activities. Kingswood residential centres are safe and secure destinations that create a great environment for students to express themselves. All have an authentic 'British' feel, from historic manor houses to contemporary state-of-the-art adventure complexes. Grosvenor Hall and Isle of Wight have trinity exam status, with Grosvenor Hall accredited by the British Council. We deliver adventure and education programmes which are excellent value for money for groups and individuals. Above all, our focus is on the welfare of our young guests – their safety comes first – and the life changing experiences they gain through outdoor adventure. Our quality English language and adventure courses give students the opportunity to improve their language skills in a vibrant and exciting environment. Our classes are taught by qualified English language teachers and we provide a varied learning programme, combining classroom learning with exciting adventure activity sessions and excursions where students can put their new language skills into action. Grosvenor Hall in Kent and the Isle of Wight centre in Bembridge have Trinity exam status. Additionally, Grosvenor Hall is accredited by the British Council for the teaching of English in the UK, and is also an English UK member. During the UK school holidays, some of our Kingswood centres turn into Kingswood Camps. Packed full of adrenaline fuelled and challenging activities, our Kingswood Camps’ adventure holidays give 8–17 year olds the chance to have a lot of fun, gain a sense of independence and make friends with other young people from across the world. Our camps are filled with British children as well as international visitors, which presents an ideal opportunity for international young people to improve their language skills and make new friends. Camp Coaches look after every individual, making sure they have the very best experience with us. We offer a variety of accommodation across our centres, ranging from twin rooms through to larger multi-bedded rooms and our new luxury camping adventure lodges. Many of the centres offer a choice of en-suite or standard (shared bathroom) accommodation. All of our accompanying leader rooms are en-suite, with the majority being single. We aim to split children into age-specific groups for accommodation, classes and activities. However if siblings (of the same gender) would like to share accommodation or there are specific requests for a child to share a room with a different age group then an 'overlap' between groups can be discussed on a case-by-case basis. Please note that all our rooms are same gender and it is not possible for brothers and sisters to share accommodation. We are also unable to offer single rooms to any children. Whilst we work closely with our groups to ensure they receive the accommodation requested, we cannot always guarantee their first preference. With seven locations in the UK, each of our centres offers a truly unique experience. All within easy reach of international airports and famous cities, visitors can choose from beachside settings, picturesque English countryside or town centre locations. If you would like to book a Kingswood programme or would like to find out more, please contact our friendly international team on +44 (0) 1603856927 or use the 'contact us' form below. 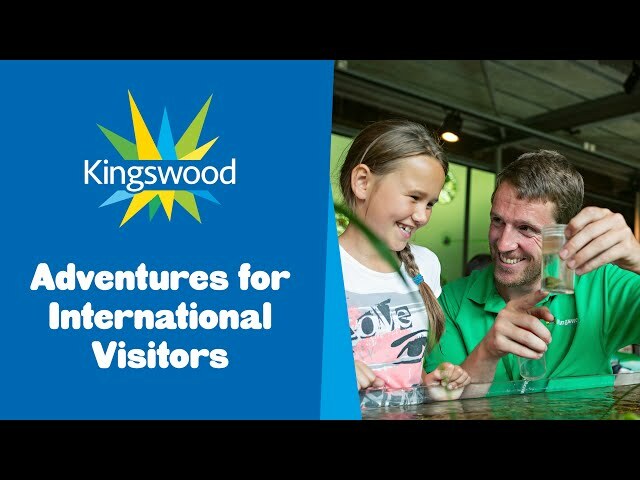 Fill out our brochure download form to receive a digital copy of the Kingswood international visitors brochure. We welcome groups of international visitors throughout the year accompanied by a party leader from our network of international agents. If you are an international student or parent and would like to enrol on one of these courses, please contact us and we will introduce you to your local agent. If you are an agent, you can find a booking form in the agents' area. If your visit didn't meet your expectations regarding delivery and service and you would like to find out about our formal complaints procedure, see our complaints page. Additionally, if you feel you haven't had an appropriate response to a complaint, you are able to complain to English UK or British Council. A Kingswood international programme is all-inclusive. Prices quoted include all language tuition, activities, excursions and full-board accommodation, see table below for what is included in each programme.